USA Maritime praises the House of Representatives for rejecting the Royce-Engel amendment that would have dramatically altered the existing PL 480 Food for Peace Program. 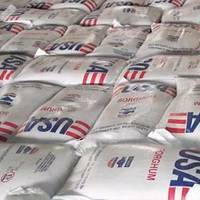 The action in the House, according to USA Maritime Chairman James Henry, “Demonstrates a clear recognition that this cornerstone of America’s foreign aid programs is not only the most successful in addressing world hunger but provides numerous important economic and national security benefits to the American people. With more than 1,500 young men and women graduating from the seven U.S. maritime academies this year, employment opportunities for the class of 2012 remain plentiful, according to the American Maritime Partnership. “We congratulate the maritime academy graduates for passing the extensive U.S. Coast Guard exam and pursuing a career that will help grow the U.S. economy and keep our country strong and safe,” said James Henry, President of the Transportation Institute, and Chairman of the Board of Directors of the American Maritime Partnership. James Henry, General Duncan McNabb and Robert Somerville Receive 2011 Admiral of the Ocean Sea (AOTOS) Awards. United Seamen's Service 42nd award dinner held in N.Y. on October 28, 2011. The United Seamen's Service (USS) 2011 Admiral of the Ocean Sea Awards (AOTOS) were presented to James L. Henry, Chairman and President of the Transportation Institute; General Duncan J. McNabb, USAF, former Commander, U.S. Transportation Command; and Robert D. Somerville, Chairman of ABS (formerly the American Bureau of Shipping). The maritime industry's most prestigious awards since 1969 were presented at a gala industry dinner and dance for more than 700 people at the Sheraton New York Hotel and Towers, New York City. U.S.-flag vessel operators and allied industries engaged in domestic waterborne commerce today recognized the vital role the U.S. Coast Guard plays in keeping America’s waters safe and secure. The salute comes on the 221st anniversary of the legislation that established the Revenue Cutter Service, the forerunner of today’s U.S. Coast Guard. “The U.S. Coast Guard is the most underappreciated federal agency,” said James Henry, President of the Transportation Institute, and Chairman of the Board of American Maritime Partnership. “On any given day, these men and women conduct more than 100 search and rescue missions, save 10 lives, board more than 140 large vessels for port safety checks, and service 135 aids to navigation. And that’s just some of the Coast Guard’s missions. The United Seamen's Service (USS) 2011 Admiral of the Ocean Sea Awards (AOTOS) will be presented to James L. Henry, Chairman and President of the Transportation Institute; General Duncan J. McNabb, Commander, U.S. Transportation Command; and Robert D. Somerville, Chairman of ABS (formerly the American Bureau of Shipping). The maritime industry's most prestigious awards will be presented at a gala industry dinner and dance to be held at the Sheraton New York Hotel and Towers, New York City, on October 28, 2011. A special AOTOS recognition plaque will be presented to Captain George Quick, former President of the Association of Maryland Pilots. "We are so proud to be able to honor labor, military and service providers who represent strong leadership in the maritime industry. Nearly 800 young men and women are graduating from the seven maritime academies in the United States this year, and many will be working on a vessel almost before the ink on their U.S. Coast Guard license is dry. U.S.-flag vessel operators are clamoring for qualified deck and engine officers, so the class of 2011 will soon be gainfully employed. 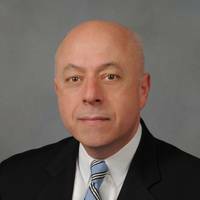 “We welcome our new shipmates,” said James Henry, President of the Transportation Institute, and Chairman of the Board of Directors of the American Maritime Partnership. “It is no small accomplishment to pass the extensive U.S. Coast Guard exam required for a deck or engine license. There are seven maritime academies in the United States, one each in California, Maine, Massachusetts, Michigan and Texas, and two in New York. 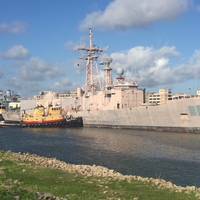 A skilled Merchant Marine and strong U.S. shipbuilding industry are critical to America’s national and economic security declared the Navy League of the United States in its 2011-12 Policy Statement. The 32-page document credits the Jones Act and other U.S. maritime laws with playing a crucial role in today’s irregular warfare environment. “The ability to access [the] maritime capability of ships and seafarers is essential to our national and economic security,” the Navy League said. “The Voluntary Intermodal Agreement, which includes the domestic Jones Act fleet, provides 135 ships, 213 barges and tugs, and worldwide intermodal capability. Without these commercial capabilities, the U.S. The Navy League also emphasized the critical importance of a strong American shipyard capacity. 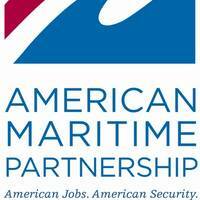 American Maritime Partnership (AMP) is the new name for the Maritime Cabotage Task Force, the largest coalition of maritime interests in the United States, which has been in operation since 1995. The new moniker better reflects the coalition’s focus on the domestic maritime industry’s role in promoting national, homeland, and economic security. To increase awareness of itself in the social media world, AMP has launched a new website (www.americanmaritimepartnership.com), and has new social media applications on Facebook and Twitter. “A strong domestic maritime industry is critical to our national security, makes our homeland more secure, and fosters nearly 500,000 American jobs,” said James Henry, President of the Transportation Institute and Chairman of the Board of Directors of AMP.